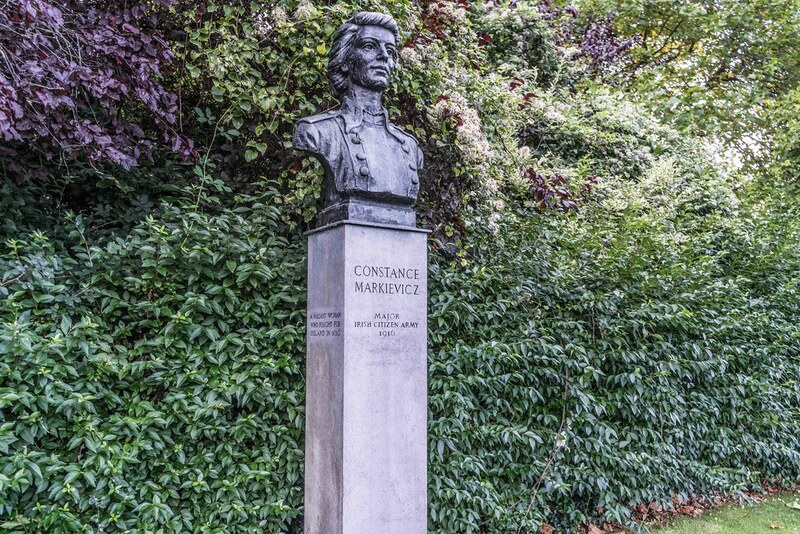 Constance Georgine Markievicz, Countess Markievicz (4 February 1868 – 15 July 1927) was an Irish Sinn Féin and Fianna Fáil politician, revolutionary nationalist, suffragette and socialist. In December 1918, she was the first woman elected to the British House of Commons, though she did not take her seat and, along with the other Sinn Féin TDs, formed the first Dáil Éireann. She was also one of the first women in the world to hold a cabinet position (Minister for Labour of the Irish Republic, 1919–1922). 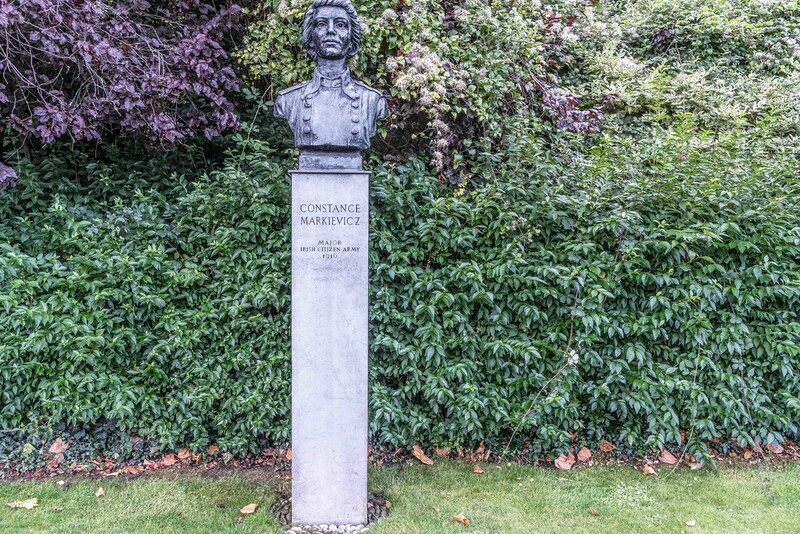 Markievicz was born Constance Georgine Gore-Booth at Buckingham Gate in London, the elder daughter of the Arctic explorer and adventurer Sir Henry Gore-Booth, 5th Baronet, an Anglo-Irish landlord who administered a 100 km2 estate, and Georgina, Lady Gore-Booth née Hill. During the famine of 1879–80, Sir Henry provided free food for the tenants on his estate at Lissadell House in the north of County Sligo in the north-west of Ireland. Their father's example inspired in Gore-Booth and her younger sister, Eva Gore-Booth, a deep concern for working people and the poor. The sisters were childhood friends of the poet W. B. Yeats, who frequently visited the family home Lissadell House, and were influenced by his artistic and political ideas. Yeats wrote a poem, "In Memory of Eva Gore-Booth and Con Markiewicz", in which he described the sisters as "two girls in silk kimonos, both beautiful, one a gazelle" (the gazelle being Constance). Eva later became involved in the labour movement and women's suffrage in England, although initially Constance did not share her sister's ideals. 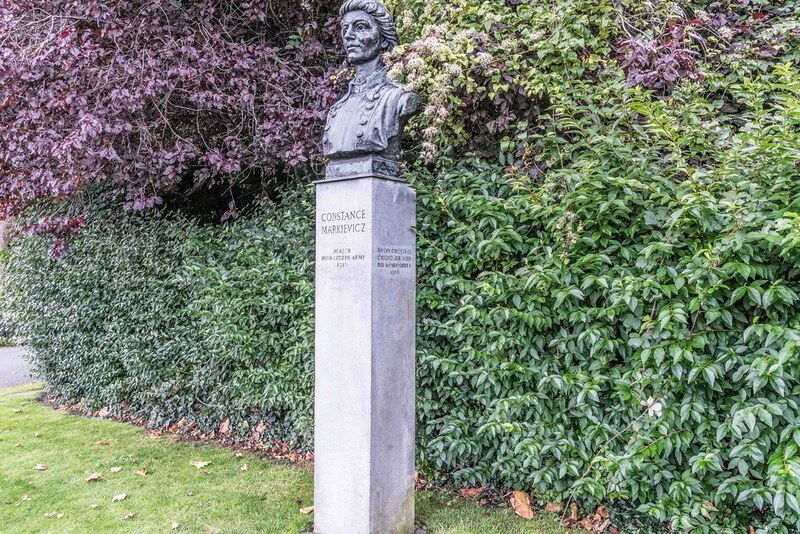 Markievicz died at the age of 59 on 15 July 1927, of complications related to appendicitis. She had given away the last of her wealth, and died in a public ward "among the poor where she wanted to be”. One of the doctors attending her was her revolutionary colleague, Kathleen Lynn. Also at her bedside were Casimir and Stanislas Markievicz, Éamon de Valera and Hanna Sheehy-Skeffington. Refused a state funeral by the Free State government, she was buried at Glasnevin Cemetery, Dublin, and de Valera gave the funeral oration.